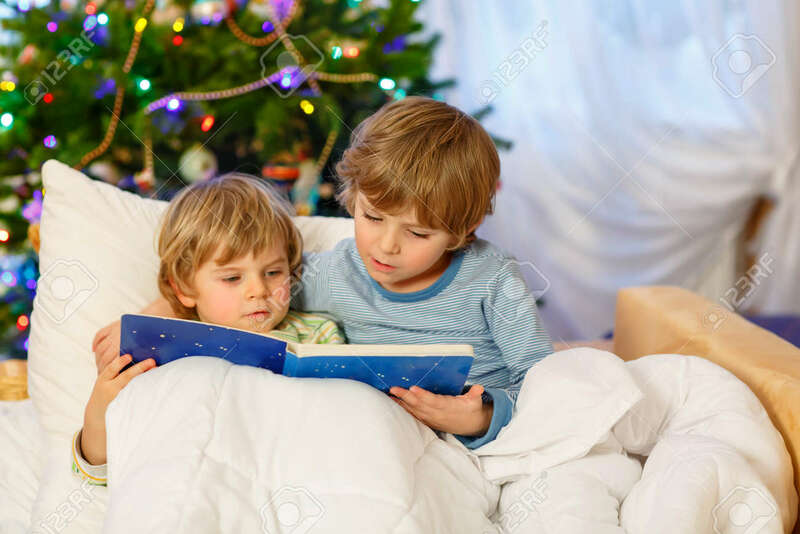 Two Little Blond Sibling Boys Reading A Book Together In Bed Near Christmas Tree With Lights And Illumination. Happy Family, Two Children And Friends. Royalty Free Fotografie A Reklamní Fotografie. Image 48656308. Reklamní fotografie - Two little blond sibling boys reading a book together in bed near Christmas tree with lights and illumination. Happy family, two children and friends. Two little blond sibling boys reading a book together in bed near Christmas tree with lights and illumination. Happy family, two children and friends.